Jackie and Mike have been dating since the days of high school, at St. Viator. I knew the family of Mike because I had shot the wedding of his sister Allie in 2012, so it was nice to see a lot of familiar faces. 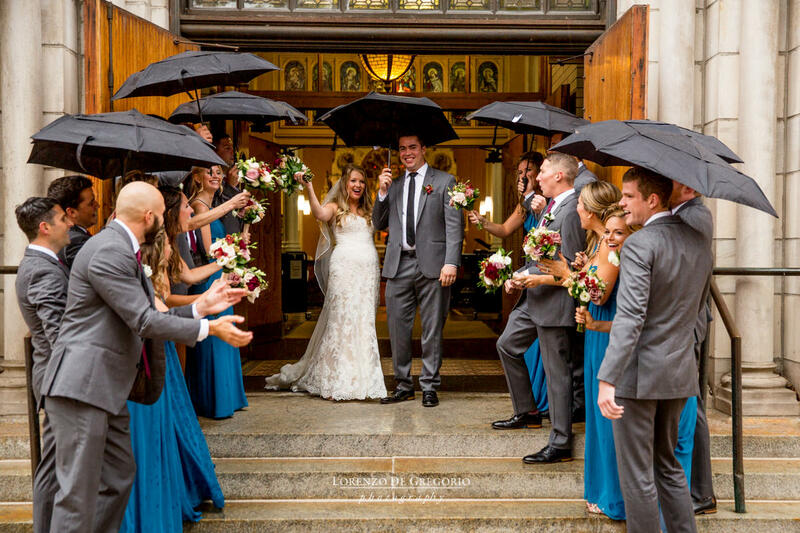 The ceremony took place at St. Michael in Old Town. I had a very good luck with weather through all the year, but this time it poured. Still, we rolled with it and we took some crazy pictures together. When they set out to look for the perfect venue they agreed the typical ballroom didn’t fit their style. Gallery 1028 is located in Goose Island, it’s a large loft space and intimate at the same time, that couples can tailor to their vision, redesigning the space. Jackie and Mike immediately loved the original hardwood floors and the exposed bricks. And they loved the hanging cafe lights and the atmosphere that the candles lined up can create. My guest second shooter was the very talented Aneta Wisnieska, who provided several images to this collection. Jackie walking down the aisle of St. Michael in Old Town. This is one of my favorite perspectives. In the dim light, indoor, on a stormy day, this is a rather difficult picture because the camera struggles to focus and the aperture must be kept to a thin slice in order to gain stops of light. The three pictures below were all taken by Aneta. Jackie and Mike live on Wells street and wanted a picture of the bridge. Looking for shelter at Union Station. The sky cleared as we arrived at Gallery 1028. I think this is my first rainbow in 250 weddings. 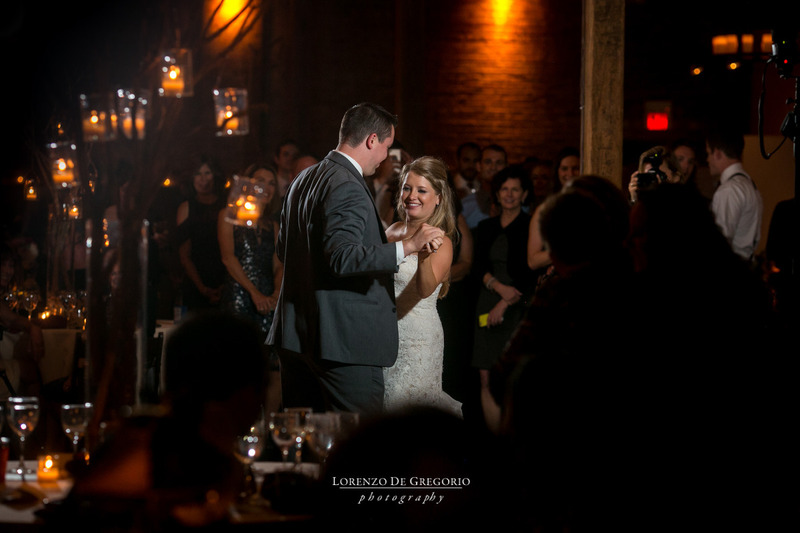 Mike and Jackie encharged Studio AG of the decoration and the uplighting to transform the raw room into a cozy and welcoming space. Studio AG provided all the floral too. Catering provided by Calihan. The Willis tower in the background. Congratulations Jackie and Mike. It was a pleasure shooting your wedding and meeting your families. 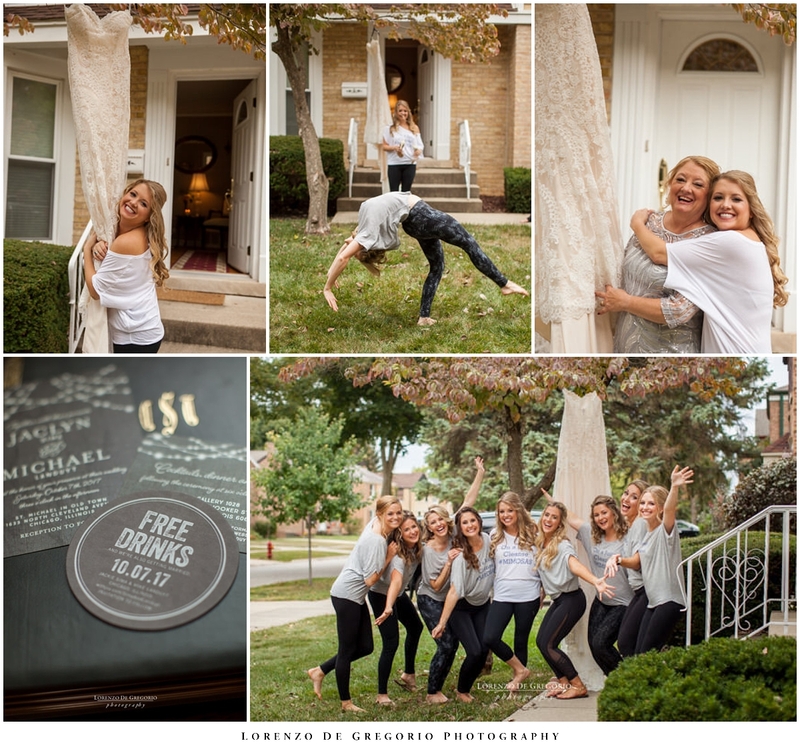 Mike’s sister, Allie’s wedding at the Harold Washington library in 2012 and her 2011 engagement at Fullerton beach before the consolidation of the promenade. My first wedding at St. Michael in Old Town in 2012 and a more recent wedding in a frozen Chicago in 2016. My first wedding at Gallery 1028 in 2011, with American Idol 5th place finalist Matt Giraud playing for his friends Jamie and Davy. If you enjoyed this post then please leave a feedback and share it to let other people know about me. Getting married in downtown Chicago and looking for inspiration? follow this link to see more weddings I shot in Chicago over the past ten years. Would you like to find out more about my services? then contact me at info@lorenzodegregorio.com. You can also reach me at 773 899 5370.